Davos, to its critics, is the ultimate festival of bombast and empty sloganeering. Prior to this year's meeting of the World Economic Forum in the Swiss ski resort, the more cynical bits of Twitter were awash with mockery of the quotes that have marked previous iterations of the conference: such as "Goals are only wishes if you have a plan" (Melinda Gates), and "Let's put our optimism goggles on" (will.i.am of the Black Eyed Peas). If you wished to be uncharitable, you might say that Prime Minister Narendra Modi is a natural fit for this sort of talk-fest. But I have no intention of being uncharitable. After all, Modi produced a straightforward speech at Davos, one that hit all the expected high notes -- and the worst that can be said for it is that it once again stopped far short of what he could have delivered. It was hardly a rousing call to arms and the by-now-familiar references to Indian cultural traditions hardly set it apart from the dozen such speeches that various foreign audiences have been treated to in the past three-plus years of Modi's premiership. Still, in the Trump era, perhaps we should be grateful. Our Prime Minister's admirable consistency in this respect is something I am quite thankful about. 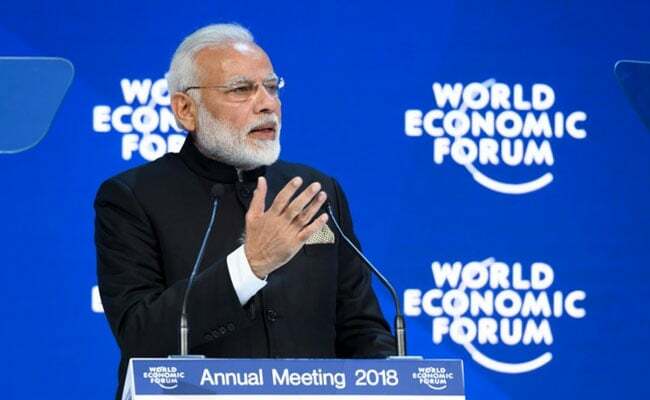 PM Narendra Modi delivered a keynote address at the World Economic Forum in Davos. There's no easy response to those sections of Modi's speech in Davos that highlighted India's history of pluralism and its commitment to liberal values. He quoted that leading liberal anti-national -- or at least anti-nationalist -- Rabindranath Tagore about "a heaven of freedom where the world is not divided by narrow domestic walls". He indicated India was "unifying and harmonising", that it believed in "values of integration and unity". He said we in India are proud of our democracy and our diversity. This was a speech that any Indian Prime Minister in the past 70 years could have given - in its emphases and values, if not in its delivery. Is that a good or bad thing? Well, it's bad in the sense that we can never be sure that Modi means what he's saying -- after all, his picks for Uttar Pradesh Chief Minister, or for some of his cabinet, hardly seem to share these same sentiments about diversity, national integration, harmony, and so on. On the other hand, it's good that we still have a Prime Minister who at least believes that statesmanship requires him to publicly commit to and celebrate these values. Lip service to liberalism is better than no service at all. Can you imagine a future Davos in which Yogi Adityanath stands up to represent India? Is it likely that his speech would repeat these commitments to liberalism? I think not. So why does Modi's speech repeat these commitments so effusively and effectively? Some might argue it is simply positioning - because Modi senses there is a vacancy in terms of "global liberal leader" now that the United States has Trump. But that doesn't make sense - such rhetoric has been a feature of his speeches to international audiences since Day One of his tenure. I think the explanation is simply that this is genuinely Modi's own opinion of what the national consensus is; he may not be a committed liberal himself, but he represents a liberal India abroad. I for one am constantly relieved that the Prime Minister's words on occasions like this broadly reflect my own sentiments about what sets India apart, and what makes our democratic experiment distinctive. 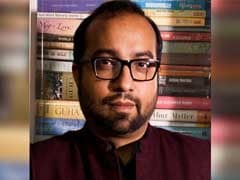 He may sometimes say things on these big stages that make me wince -- this time, I could have done without the whole digression about sparrows tweeting and so on - but he hardly ever says anything on such stages that shames or depresses me as a liberal Indian. The Prime Minister abroad still strives to represent all of us: Modi (and his speech writers) deserve full and unreserved credit for this. 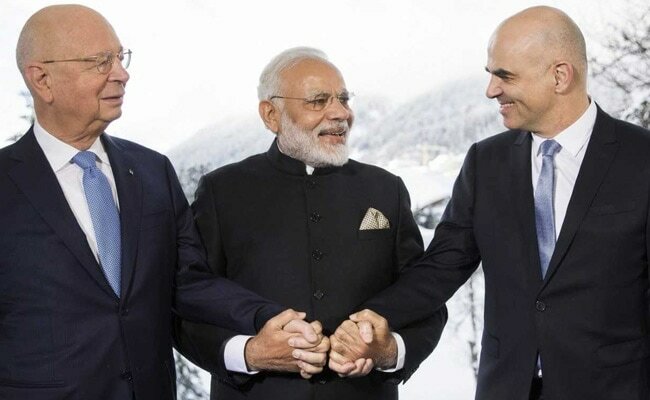 PM Modi (centre) with WEF chairman Klaus Schwab (left) and Swiss President Alain Berset. There is one thing, however, that I continue to find odd. For such an accomplished politician, Modi seems unable to change his views or update his rhetoric as time goes by. Davos is not Madison Square Garden or Wembley Stadium. The world was looking for Modi to raise his game, to create a word-picture of what India's commitment to the future looked like. Yes, we got reminders of the solar mission, of counter-terrorism, of our commitment to rescue people from disasters and so on. But, frankly, the big picture was missing. What does it really mean to have a nimble response to globalisation? What does it mean to be proud of our own democracy when it comes to competing with China overseas? What does it mean to break down barriers when it comes to global governance? How can these values we are supposedly proud of - and which Modi once again demonstrated are deeply embedded in our collective psyche - be linked up to actual changes to world institutions and international relations? Instead of something that would address these questions, we got yet another speech that climaxed with talk of the GST and doing business rankings. Don't get me wrong: those are important to us as an economy, and they should be important to us Indians as voters. But can Modi ever be a global leader of the sort that he and his die-hard partisans want him to be unless he has something more to offer the world than Sanskrit slogans and yoga? The cultural nationalism might satisfy his own voters. It won't in any way satisfy the rest of the world.